Last time I wrote about Psapp, I mentioned about the beautiful, serene ‘Tricycle’ taken from their 2006’s The Only Thing I Ever Wanted. Here they are again with their brand of toytronica music and meticulous blend of non-conventional instrumentations, in their latest release, The Camel’s Back. In their third full-length album, the duo lay out more accessible songs in the collection as they combine standard instruments into the mix. You’ll hear unmistakable sounds of horn blasts and theatric violin sweeps utilized in some songs, sounds that you won’t likely hear in their previous releases. 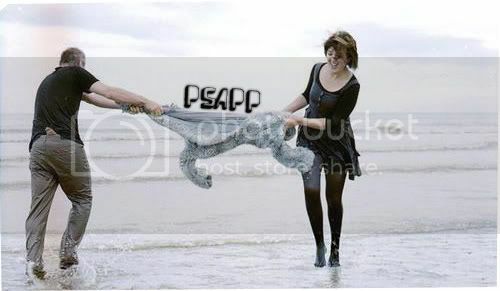 Coming clean, I have to say I much prefer their earlier works. In their former creations, songs are saturated with gorgeous organic touches, plus sounds are crisper and clearer, and the lo-fi treatment builds up to a cozy, intimate atmosphere. 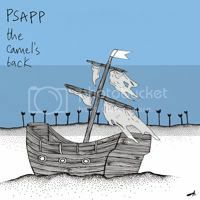 The Camel’s Back lacks exactly that; tracks are more radio ready and audience friendly, that it sounds somewhat stripped off of its former strength, which was what Psapp was most recognized for: those quirky, idiosyncratic surprises in their songs. Such a shame, maybe I’ll have to listen it a bit more.